Don’t fall for it, Jaguars. The Philadelphia Eagles are trying to scam you. I don’t blame them, but you can’t be a sucker. 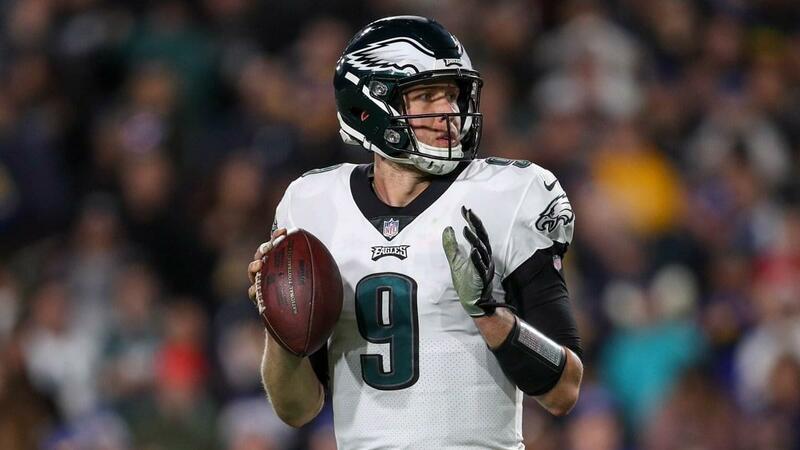 ESPN reported Sunday that the Eagles are planning to place the franchise tag on quarterback Nick Foles in order to force a team to trade a third-round draft pick for the veteran as opposed to him leaving as a free agent. The mechanics of this work totally against Philadelphia for a variety of reasons. The Eagles are committed to Carson Wentz as their starting quarterback. The Eagles are roughly $19 million over the 2019 salary cap projection, according to spotrac.com. Franchising Foles at about $25 million in salary next season suffocates any free-agent plans the Eagles would have. Teams know Philadelphia can’t take that salary on when free agency opens on March 13. No team is going to want to pay Foles $25 million in 2019. If the Jaguars want Foles, they just have to wait this out. If the Eagles tag Foles eventually they will have to rescind it and let him be a free agent. Jaguars personnel chief Tom Coughlin and general manager Dave Caldwell face the biggest void at quarterback in the NFL. Foles could certainly be their top target to replace soon-to-be-cut Blake Bortles. The Jaguars are negotiating from a position of strength because so few teams will be in the free-agent market at quarterback. The New York Giants, Denver, Miami and Washington all have a quarterback need, but all four seem best suited to find that option in the draft. Philadelphia probably isn’t trading Foles inside its division, so New York and Washington are likely out but they aren’t great fits anyway. The Giants would have to cut Eli Manning to go after Foles. Washington really can’t go after Foles because they can’t cut injured starter Alex Smith without a crippling dead-cap penalty. While Smith will probably miss the coming season, there’s no word he’ll retire and spare Washington his $20.4 million cap hit. The early buzz out of Dolphins camp is that they will release veteran starter Ryan Tannehill and have no plans to spend big at the position. That leaves Denver, a team Foles would probably prefer to the Jaguars. However, the Broncos would have to cut Case Keenum and eat $10 million in dead money. Coughlin can always bluff Philadelphia back in saying the Jaguars would have in interest in other quarterbacks likely to be free agents like Tannehill and Baltimore’s Joe Flacco. Even Keenum would be somewhat appealing if he’s cut. The Jaguars can’t afford to part with any draft ammunition to acquire Foles. He’s also likely to command far less on the open market than what the franchise tag demands because of the lack of suitors. Coughlin should give his bank account number to a Nigerian prince before he makes any deal with Philadelphia for Foles.